It’s crazy to think that it was only two months ago that I joined PAAFF (Philadelphia Asian American Film Festival) as part of the festival staff. When I attended my first general meeting in September, I was struggling to keep up with the planning since the executive board of PAAFF had already done so much by that month. Despite my initial struggle, I got more comfortable with working with the organization and its staff since the organization always welcomes new volunteers. 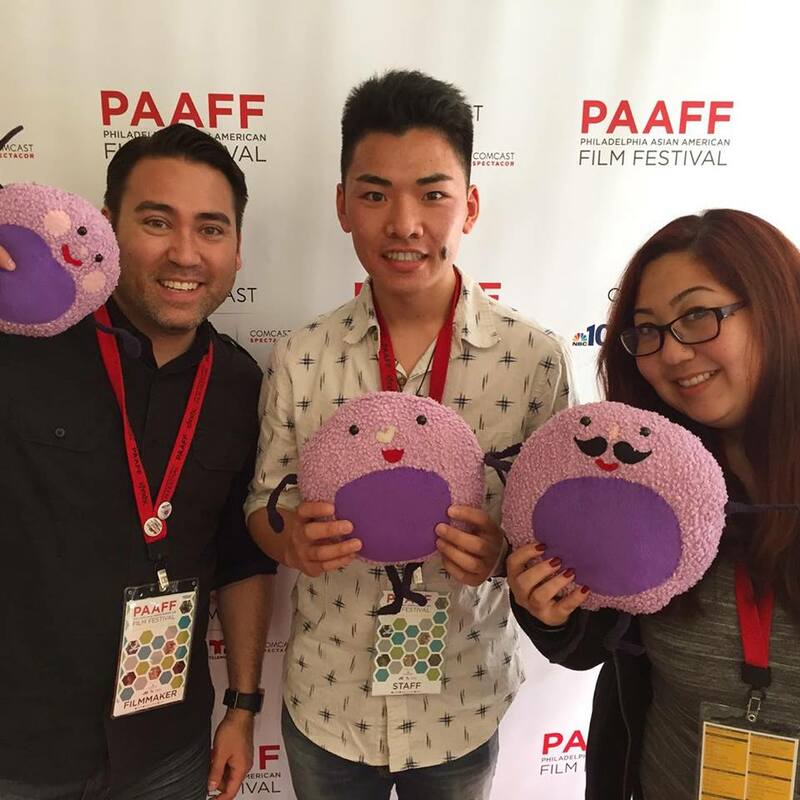 PAAFF is a nonprofit organization dedicated to representing aspects of everyday life of an AAPI (Asian American Pacific Islander) and showcasing AAPI filmmakers. I was able to attend the first three days of the festival (November 10-12), and I wanted to share some of my thoughts, experiences, and recommendations after such an incredible experience. This was the opening day and it was exciting to see all of the staff’s work come together. This was also my first time attending a film festival so I was even more enthusiastic. The only film shown that night was The Tiger Hunter (Lena Khan, 2016), which starred Danny Pudi, best known for his work in Community. Once I arrived at International House in University City, the location for the first part of the festival, I was met with a flurry of activity. Student volunteers hurried to set up the venue. The festival staff organized the check-in table and began chatting with the viewers as they slowly trickled into the lobby. I was able to watch The Tiger Hunter, a typical comedy. By that I mean it follows a generic comedy narrative: the protagonist has a dream, he encounters an obstacle that prevents the dream from manifesting itself, but the problem is solved and the dream is achieved. In The Tiger Hunter, the protagonist, Sami Malik, dreams of becoming a successful engineer in America in order to win the affection of his childhood crush, Ruby. Sami moves to America from India and realizes that achieving the American Dream is not as easy as it sounds. On Friday, I was at the film festival for only a short period of time. I attended the Between Borders shorts program, which had shorts films that dealt with marginalized identities both in the U.S. and abroad. Out of the five, I really enjoyed watching Chanthadeth (Joseph Mills, 2016) and The Three Tales of A Coin (Nishok Nishok, 2016). Chanthadeth is a documentary that follows a boy, Chanthadeth, with mixed heritage, Cambodian and Lao, as he begins his journey in the film to discover the meaning of his name and to come to terms with being a mixed-heritage person. I related to this film because I am also a mixed-heritage person. Like Chanthadeth, I had a hard time balancing my mixed-heritage identity. Some days I felt more Chinese and others I felt more Filipino. I admired this short documentary for capturing this nuance. The Three Tales of A Coin is a short narrative film that is told in the perspective of a coin as it is passed along to different characters. I loved this film because it featured touches of Wes Anderson, one of my favorite directors. As I watched Three Tales, I was amazed by Nishok’s ability to recreate Anderson’s signature style so authentically. These short films gave me a new appreciation for short films. I applauded the fact that these shorts were able to tell compelling stories in such a short amount of time. I was excited to attend Saturday’s screening because the lineup included the documentary, It Runs In The Family (Joella Cabalu). The title of the film comes from an interesting premise. When Joella’s brother, Jay Cabalu, comes out, both Jay and Joella learn that they have a dozen cousins who also identify as LGBTQ. After learning about their other queer family members, Jay and Joella go on a trip to visit a few of them in California and in the Philippines. The best thing about this film was its exploration of gender and sexuality in another culture. I was particularly drawn to this film because it was representing queer people in a part of my culture. 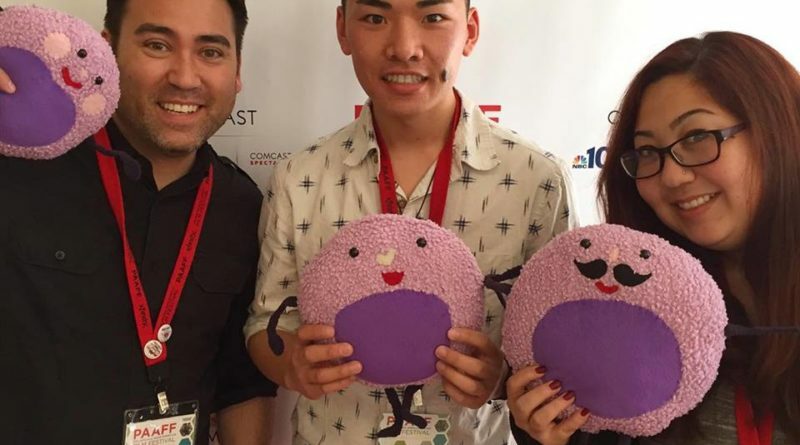 It Runs In The Family was a part of the LGBTQ shorts program and I was delighted to attend this program because it gave more visibility to queer Asian Americans. The night ended with the film, Bad Rap (Salima Koroma, 2016), which followed four Asian American rappers: Dumbfoundead, Awkwafina, Rekstizzy, and Lyricks. The film explored the positionality of Asian Americans in hip-hop culture and discussed the varying success of the four documentary subjects. This documentary raised big questions for me such as, why aren’t there any successful Asian-American rappers in the music industry? Also, why aren’t there any Asian Americans in general in the music industry? Part of the problem stems from the depiction of Asian Americans in the media. For Asian men, they are the comic relief and they are never portrayed as a love interest. For Asian women, they are hypersexualized. I hope that if general audiences are able to see this documentary, they will reform their ideas of who could be a rapper. The first three days of the festival have been amazing because I got to see films that speak to my identity since Asian Americans are rarely portrayed in mainstream media. Stay tuned my reflection on the closing weekend of PAAFF. Featured image by David Chan’19.